OrbicularisOculi: Our chaplin is here brothers! Our chaplin is here brothers! Just finished painting my chaplin for the campaign and Im realy happy with him. 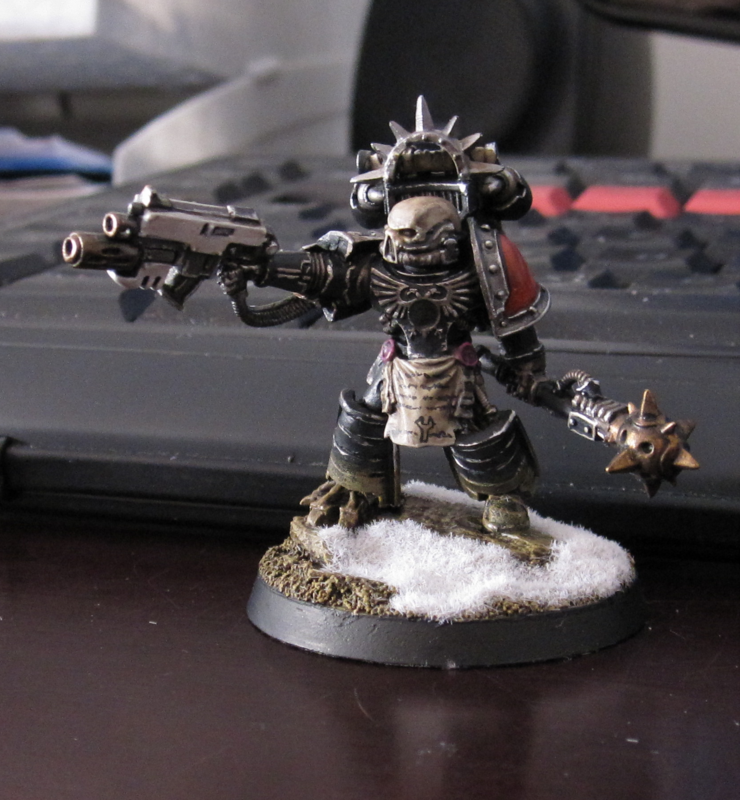 Im still thinking about painting his iron halo in gold to make him stand out more... any thoughts? I also painted the purity seals in a redish purple as Johan suggested! He will do, for the time being. I rly whant to put some servoarms on him and have a servoskull fly around him... Need to paint my army first!